Mark Clampin is Deputy Director of the Sciences and Exploration Directorate at NASA’s Goddard Space Flight Center (GSFC), Co-Investigator for the Transiting Exoplanet Survey Satellite (TESS), and the Advanced camera for Surveys (ACS) science team. Previously at GSFC he was Director of the Astrophysics Science Division before that James Webb Space Telescope Project Scientist. Prior to joining GSFC, Mark was with the Space Telescope Science Institute (STScI) where he was Group Leader for the Advanced Camera for Surveys Group Lead and worked on three Hubble Servicing Missions. In addition to his work on space-based observatories, Markhas also designed ground-based telescope instruments, including adaptive optics systems, coronagraphs and detectors. Mark’s research interests focus on studying the formation and evolution of planetary systems, and the development of instrumentation for space astrophysics. During the past two decades astronomers have made stunning progress in detecting planets orbiting other suns in our galaxy. It is likely that within the coming decade hundreds of Earth analogs – worlds with pools of liquid water where life is expected to emerge – will be discovered orbiting nearby stars. Other pertinent scientific advances are on the horizon. We will see new advances in the understanding the origin of life on our planet. We will obtain spectra of exoplanet atmospheres likely including those that are suggestive of life on other worlds. The rise of nanotechnology, quantum computers, robotics and artificial intelligence will enable us to send spacecraft to visit nearby worlds. These discoveries will occur on generational time scales and are certain to change the perception that we have about our place in space and time. Debra Fischer is Professor of Astronomy and Professor of Geology and Geophysics at Yale, and Adjunct Professor of Physics and Astronomy at San Francisco State University. Debra began hunting for exoplanets in 1997 using spectroscopic techniques to measure the velocity of stars that are tugged around a common center of mass by orbiting planets. She has discovered hundreds of extrasolar planets using this technique, including the first known multi-planet system and a planet in the habitable zone of the star 55 Cancri. Her spectroscopic analysis revealed that gas giant planets preferentially form around metal-rich stars. Her team at Yale is now building EXPRES, a high-resolution spectrometer that will be commissioned this year at the 4.3-m Discovery Channel Telescope. Her team is also developing critical machine-learning techniques to disentangle true signals from sources of noise. These advances will allow the team to improve current state of the art precision, approximately 1 meter per second to 0.1 meter per second, enabling the detection of Earth analogues that will be targets in the search for life on other worlds. 2002 American Aeronautical Society “Carl Sagan Award” for communicating science. Debra earned a BS and MS in Physics from San Francisco State University, a PhD in Astrophysics from UC Santa Cruz. She also did postdoctoral work at UC Berkeley. In the previous two decades thousands of transiting exoplanets have been discovered, a subset of which are characterizable with advanced spectroscopic observations. Exoplanet characterization efforts aim to directly probe the complex physical processes that occur in planetary atmospheres beyond the confines of our Solar System. These atmospheric processes are governed by both incoming stellar irradiation, and the physical properties of the planet itself. One of the most reliable methods of probing exoplanet atmospheres is through transmission spectroscopy with facilities such as the Hubble Space Telescope. As a planet transits its host star, some of the starlight filters through the planet’s atmosphere and the different molecules imprint their unique wavelength-dependent absorption signatures on the observed transit depth, which can be measured to reveal the atmospheric composition. The recent discovery of seven Earth-sized planets orbiting the small star TRAPPIST-1, has presented astronomers with a goldmine of worlds to explore. For the first time planets the same size as the Earth with desirable characteristics for atmospheric investigations are within the reach of our technology. These seven planets include three in the star’s liquid water zone, which hosts the highest potential for life as we understand it, possibly similar to that here on Earth. Preliminary investigations into the atmospheres of these strange new worlds have already begun with the help of the Hubble Space Telescope. With the launch of the James Webb Space Telescope in 2018 we will be able to delve even further into their atmospheres and learn more about the environments of these Earth-sized, temperate planets orbiting a star in our own backyard. Hannah Wakeford is a NASA postdoctoral Fellow at Goddard Space Flight Center, shortly to be the 2017 Giacconi Fellow at the Space Telescope Science Institute. Hannah’s work focuses on characterizing the atmospheres of exoplanets through observations with the Hubble Space Telescope, and working towards understanding how we can use future telescopes, such as the James Webb Space Telescope, to expand our knowledge of exoplanet environments. She also works on theoretical models of exotic clouds in exoplanet atmospheres to aid in the interpretation of current observational data, and the prediction of observable properties for future instruments. Hannah is an advocate for science communication and aims to project current scientific discoveries into the public conversation. For her work she has won a number of awards and commendations. During her PhD she produced and hosted a weekly live radio show, was a regular expert guest on BBC radio Devon, and was on a number of British TV news programs. She has also appeared on a number of TV shows for the BBC including BBC Horizon. Hannah is currently the host of a monthly podcast on exoplanets called exocast. Hannah earned a BS and MS in Planetary and Space physics at Aberystwyth University, and a PhD in Physics at the University of Exeter. Interestingly, her MS was earned partly in the Arctic studying the aurora borealis and the interactions between the Earth’s atmosphere and the Sun. We are finding worlds beyond our Solar System with astrophysical properties that allow for global biospheres. The chemical characterization of these worlds will allow us to test myriad hypotheses about how Earth-sized planets operate. This includes the hypothesis that these planets can host surface water oceans similar to Earth, and the hypothesis that ocean-bearing worlds harbor life. To test the latter hypothesis, we need to first identify the observable features that are diagnostic of global biospheres. This presentation will review recent work that has increased the robustness of these observables against the possibility that we mis-characterize living planets as being dead and vice versa. It will explore how Earth scientists are helping us understand how we might detect life unlike that found on modern Earth, and how planetary scientists are helping us develop secondary signatures that can discriminate between living planets and dead planets that would present the same preliminary data. The lecture will also discuss future prospects for this field in continuing to refine these types of observational standards and how best to apply them to the design and operation of future space-based telescopes. The lecture will conclude with top-level assessments of what future space-based telescopes might be able to accomplish over the next 30 years. Shawn Domagal-Goldman is a Research Space Scientist in the Planetary Environments Laboratory at NASA’s Goddard Space Flight Center. He focuses on comparative planetology. As a member of multiple interdisciplinary teams, he simulates the atmospheres of other worlds, including those of ancient Earth, modern Mars, ancient Mars, and exoplanets. He utilizes the outputs from those simulations to interpret data from some of Earth’s most ancient rocks, from the Mars Curiosity rover, and to simulate the capabilities of future space-based telescopes designed to look for life on exoplanets. Shawn is a member the Curiosity science team, the Exo-S Science and Technology Definition Team, the HabEx Science and Technology Definition Team, and is the Deputy Study Scientist for the Large UV-Optical-Infrared Surveyor (LUVOIR). He also is a member of NASA Astrobiology Institute’s Virtual Planetary Laboratory, and the ROCKE-3D (Resolving Orbital and Climate Keys of Earth and Extraterrestrial Environments with Dynamics) team in the Nexus for Exoplanet Systems Science. The rapid pace of exoplanet discoveries with indirect methods (radial velocities and transits) has encouraged scientists to start working towards an even bigger goal — searching for habitable worlds and life outside the Solar System. While scientists think that life might exist on other bodies in our own Solar System, most notably Enceladus and Europa, the Earth is the only body in the Solar Solar System that is teeming with surface life that strongly affects the planet’s atmosphere. This is probably the only kind of life that we can both detect and recognize from interstellar distances. 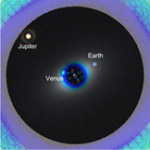 To do this for planets around stars like the Sun, we will need direct observations of light from exoplanets using high-contrast imaging from space telescopes. This lecture will discuss the challenges involved in the search for Earth 2.0 around Sun-like stars, and provide an overview of the technological solutions now being developed. Aki Roberge is a Research Astrophysicist at NASA’s Goddard Space Flight Center. Her research focuses on observational studies of planet formation around nearby young stars. In addition, she is deeply involved in developing future space missions. She currently serves as the Study Scientist for the Large UV/Optical/Infrared Surveyor (LUVOIR) mission concept — a highly capable, multi-wavelength future space observatory with ambitious science goals (described at https://asd.gsfc.nasa.gov/luvoir/). 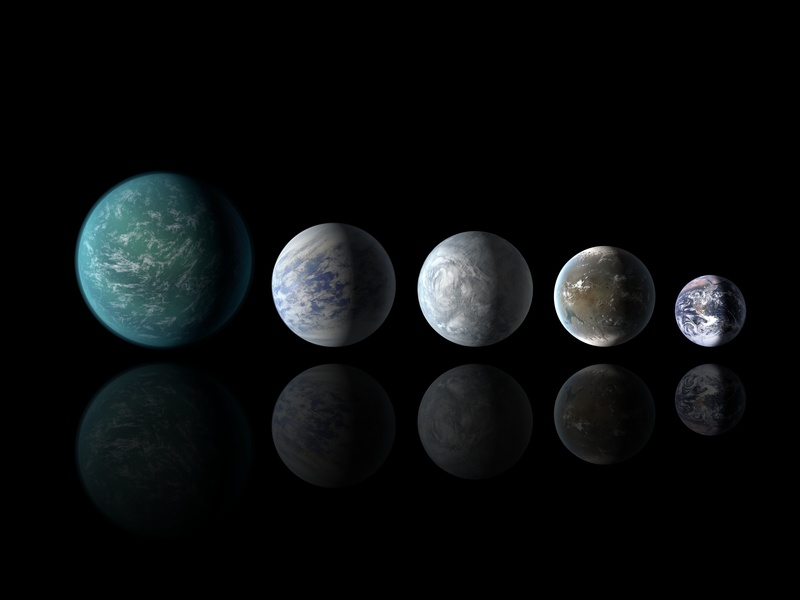 One of LUVOIR’s primary aims is detailed investigation of a wide range of exoplanets, including those that might be habitable or even inhabited. LUVOIR would also enable great leaps forward in a broad range of space science, from the early universe, through galaxy formation and evolution, star and planet formation, to remote sensing of Solar System bodies. President Larry Millstein called the 2379th meeting of the Society to order at 7:50 p.m. This was the 86th Joseph Henry Lecture, named in honor of the Society’s first and longest serving president. President Millstein announced the order of business and welcomed new members. The minutes of the previous meeting were read and approved. President Millstein then introduced the four speakers for the evening, Debra Fischer, Hannah Wakeford, Shawn Domagal Goldman, and Aki Roberge. The lecture was titled “Exoplanets and the Search for Life: An Exploration in Four Lectures”. Dr. Fischer’s lecture was titled “A Universe of Exoplanets”. She presented the famous “Pale Blue Dot” picture from the Voyager spacecraft, and explained that the goal of exoplanet research is to get a picture of other exoplanets as good as that pixel. Dr. Fischer described how her team uses the Doppler shift of light from distant stars to deduce the presence of exoplanets that we cannot yet resolve with existing telescopes. Although planets orbit stars, stars themselves also move slightly, orbiting the center of mass defined by the star/planet system. This motion of the star subtly shifts the spectrum of light coming from it, and the absorption lines within that spectrum. The magnitude of this deflection can hint at the mass of orbiting planets. Dr. Fisher also described the transit technique of detecting distant planets. By measuring the brightness of a star and noting recurring dips in the brightness of the star, we can deduce the radius of orbiting planets that pass in front of it, which provides their volume. Together, the doppler and transit techniques can provide the density of the planet, to further discern whether it is a gas giant or small rocky planet of the type that we think may support life. Dr. Fischer concluded by explaining that the next step for her research is the deployment of the EXPRES “Extreme Precision” spectrometer, with the goal of further refining the doppler method to sensitivities of 10 cm per second, which is enough to detect gravitational disturbances by planets the size of Earth. Next, Dr. Hannah Wakeford discussed “Exploring the TRAPPIST System with Hubble and the JWST”. She explained that each element has a unique spectral fingerprint, so that when light from distant stars passes through the atmosphere of a star-transiting exoplanet, not only is the planet detectable, but its atmosphere tints the starlight. Measurements from the Hubble can detect this tint and provide an estimate of the atmospheric composition of the exoplanet. Large gas giants are easier to analyze with this method because there is more atmosphere and thus a larger signature. To analyze smaller rocky exoplanets requires finding planets orbiting colder, redder stars, which make the small planets easier to notice. The TRAPPIST-1 system provides a superb example of such an arrangement, with a nearby ultra-cool M dwarf star orbited by seven rocky planets. Dr. Wakefield concluded by noting that the TRAPPIST-1 observations from the JWST will provide us the first solid data to speculate on how easily solar systems and planets like our own form, and what sort of environments we can expect on those planets. Next, Shawn Domagal-Goldman’s described “The Search for Life on Exoplanets”. Dr. Domagal-Goldman contrasted the ease of finding signs of life—on Mars, and in Earth’s fossil record—with the difficulty of eliminating the false positives, of which there have been many. Spectral analysis is also prone to false positives, in which telltale elements such as oxygen, methane, or even water can exist on a planet that is nonetheless not conducive to life. The ratio of these gases is key, because life provides a source of oxygen and methane to replenish them and maintain them in an otherwise untenable balance. Discovery of a planet maintaining a high concentration of oxygen in the presence of methane would be, he explained, cause for Champagne. Finally, Dr. Aki Roberge described “Finding Earth 2.0: Extraordinary Tools to Expand the Search Space”. She emphasized the need to be able to image planets directly, rather than mixed with star photons, as occurs in the transit method. Of course, even nearby stars are so distant that the planets orbiting them will be nearly swallowed up in the star’s glare, making direct imaging very difficult. One answer to this need is coronagraphs, which block out the sun to make nearby planets visible. Internal coronagraphs already exist, which can modify the stream of light entering the telescope. More ambitious “starshade” satellites would attempt to block the light entering space telescopes. Such vehicles would be extraordinarily difficult to build, position, and maintain, but could deliver equally extraordinary imaging capabilities. The forthcoming WFIRST 2.4 meter telescope is comparable in size to the Hubble and will include a technology demonstrator of a coronagraph and deformable mirror. It may also be paired with an experimental starshade later in its life. Ultimately, however, the WFIRST’s lens will be too small to directly image exoplanets. The true successor to Hubble will be the Large UV Optical Infrared Surveyor (LUVOIR), an 8-16 m aperture, multi-spectrum, upgradable science platform capable of spectroscopically surveying small habitable zone planets, around a range of stars including sun-like stars. Dr. Roberge explained that the telescopes now on the drawing board provide us a very real prospect of finding and describing the first Earth-like exoplanets. After the conclusion of the talks, President Millstein invited questions from the audience. In response to a question about detecting other life-friendly attributes, such as moons, Dr. Roberge and Dr. Fischer noted that our theories on what factors are conducive to life are woefully short on data, and have routinely been invalidated by new observations. As Dr. Wakeford put it, our imagination is not as good as nature’s imagination. Another questioner asked the panelists to share what for them would be a definitive indicator of life. Dr. Domagal-Goldman reiterated that oxygen and methane coexisting together would be a clear watershed. Dr. Roberge emphasized the need for a holistic measure of all of the elements present on the planet, enough to support a strong model of their generation and sink rates. The reliable indicator for life would be an anomaly in these ratios that is not attributable to simple physical or chemical processes. A final questioner asked the panel to describe their reasons for the search for life beyond Earth. Dr. Wakeford and Dr. Clampin explained that the pursuit of one of mankind’s questions is a powerful inspiration that attracts new generations into STEM and pushes scientific inquiry and engineering achievement forward. Dr. Roberge added that, if humanity is not to end when the Earth does, we need to already be looking for new homes. After the question and answer period, President Millstein thanked the speaker, made the usual housekeeping announcements, and invited guests to join the Society. At 10:04 p.m., President Millstein adjourned the 2379th meeting of the Society to the social hour.